Check out this great Calendar!! 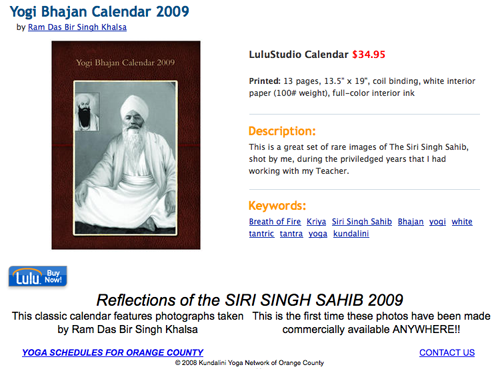 This is a fantastic calendar with shots of the Siri Singh Sahib that you cannot find anywhere else!! Shot by Ram Das Bir Singh Khalsa, these photos are rare. The profits of the sale of this calendar go to the House of Guru Ram Das. Reto U. Schneider, The Mad Science Book – The Good Friday service in Easter 1962 was a memorable experience for ten seminarians at the Andover Newton Theological School. Although they could remember hardly anything of the sermon delivered by Pastor Howard Thurman, they could recall a sea of colors, voices from the Beyond, and the feeling that they were melting into the surrounding world. In a word, the students were high. At the beginning of the 1960s, some daring scientists turned their attention to studying mind-altering substances. This was the period when it was all part and parcel of a lecture on mysticism to ingest magic mushrooms to gain practical insight into the subject, and when a doctoral thesis could entail giving students drugs and observing their behaviour. This is exactly what Walter Pahnke did: this young theologian and doctor from Harvard University was keen to discover whether psychedelic drugs could induce the kind of mystical sensations that only very few people otherwise experience, for example when in a state of religious trance. Users of LSD, psilocybin or mescaline had long claimed that this was the case. Pahnke turned to Timothy Leary, who a short time before had begun conducting drug experiments at Harvard, and who later became a leading figure in the 1960s counterculture. He proposed an experiment to Leary: test subjects would attend a church service, but half of them would be given mind-expanding drugs in advance. Afterwards, all participants would be required to fill in a questionnaire and be interviewed. 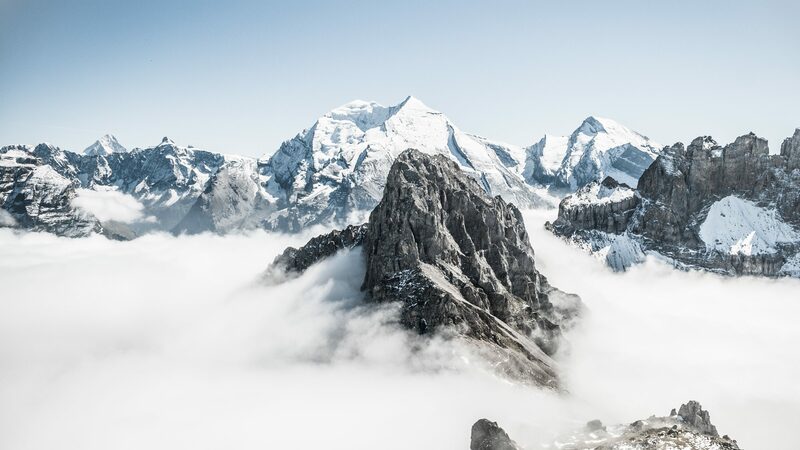 Comparing the findings with descriptions of mystical experiences from the realm of religion would demonstrate whether there was a qualitative difference between them. [Leary] explained to Pahnke that a psychedelic trip was an intensely personal experience and that a person would have to have experienced several himself before he could even contemplate devising such an experiment. However, Pahnke was adamant that he would have to wait until his thesis had been accepted before he indulged. He didn’t want anyone accusing him of partiality: the experiment would only have a chance of succeeding if he hadn’t taken any drugs himself beforehand. . .
On the morning of Good Friday, two hours before the service, 20 students met in the crypt of Boston University’s Marsh Chapel. They were encouraged “not try to fight the effects of the drug even if the experience became very unusual or frightening.”. . . The service lasted two and a half hours. When it had ended, the students were interviewed for the first time. At 5 o’clock, Leary invited everyone to come and eat with him, but ‘the trippers were still too high to do much except shake their heads, saying “Wow!”‘, as he later recalled. . . In the days following the experiment, and again six months later, the subjects were quizzed about what they had gone through. . . The results were unequivocal: eight of the 10 students who had eaten the magic mushroom experienced at least seven of the impressions and feelings customarily associated with a mystical experience. By contrast, no-one from the control group reached this kind of score. In every category, they lagged far behind the experimental group. . .
Twenty-five years after the experiment, the psychologist Rick Doblin attempted to find the surviving participants. In four years’ of detective work, he succeeded in tracking down 19 of the 20 students. Sixteen of them agreed to be interviewed and filled in the same questionnaire as in the original experiment. The results were astonishingly consistent: those in the experimental group and the control group gave much the same answers as they had done a quarter of a century before. The test subjects from the experimental group described the Good Friday service of 1962 as one of the high points in their spiritual lives. They all claimed that the experiment had had a positive influence on them. Some attributed their later socially aware outlook to it, while others said it had helped them come to a positive accommodation with their fear of death. Nevertheless, most of the former participants also recalled that the experiment also had its negative aspects. There were moments when they thought they were going mad or dying. Pahnke only treated this aspect in passing in his thesis. In particular he hushed up the fact that one subject had to be injected with an antidote when the situation got out of hand: seized with an urge to put Pastor Thurman’s call to spread the word of Christ into action straight away, one student left the chapel and went out onto the street, from where he had to be fetched back. . .
Just one member of the control group claimed that the experiment had benefited him greatly. Not that it was the church service as such that had such a positive effect on him, but rather the decision he made during it to try psychedelic drugs himself at the next available opportunity. His Holiness The 14th Dalai Lama spoke to an absolutely quiet and enthralled audience today at Gibson Amphitheater. The anticipated event was produced by Whole Child International, the brainchild of Karen Gordon – more on her later. I have seen HH Dalai Lama speak several times, but this time he seemed at his best, IMHO. He is unassuming and not aware of his star power when he speaks. He truly comes across as, he says, a humble monk. Contrast this with the blowhards on Capitol Hill or the White House. So self-important… what a snooze. 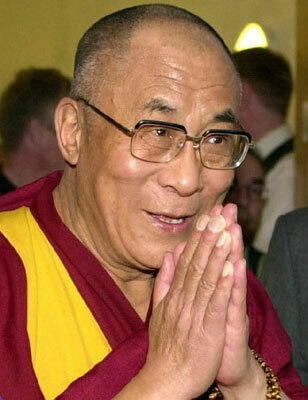 Today, His Holiness spoke almost in lessons so to speak, not in high-brow fashion, but in a down-home voice almost – along with his translator, who His Holiness constantly shot questions to for interpretation of certain euphemisms and idiomatic expressions. In this regard, the 76-year-old monk is remarkable. Gordon’s vision for Whole Child is to get children “off the assembly line of caregiving” and get them focused, one-on-one attention by the same caregiver in institutional orphanages by focusing on a train-the-trainer model. 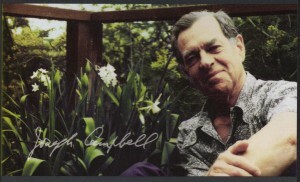 The organization she founded in 2004 produced today’s event to honor HH as the 2010 Whole Child Humanitarian as well as Tom Mower, Sr., founder and Chairman of SISEL International, who was named Whole Child International Champion. In a video presentation, Mower said he was on the verge of setting up his own company to help such vulnerable children, when he happened upon a Forbes magazine article featuring Gordon and Whole Child. Gordon said to the group, that Mower has since given over $1 million of his personal assets to Whole Child. After Gordon’s opening remarks, we were treated (and I mean really treated) to several songs by Sheryl Crow, the first being The Beatles Here Comes The Sun. Crow donated her time for today’s event. I’ve seen Crow a few times live and I’m beginning to believe that she is entirely under-rated. She blew me away. Lots of soul in her voice – you can’t teach that to someone. I think you have to be entirely present to sing like that. Text the letters WCI followed by a space followed by a donation amount to 27138. “I had a marvelous experience two nights ago. I was invited to a rock concert. (laughter in the audience) I’d never seen one. 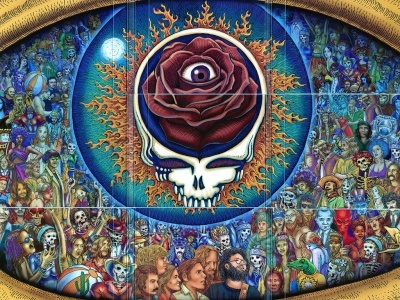 This was a big hall in Berkeley and the rock group were the Grateful Dead, whose name, by the way, is from the Egyptian Book of the Dead. And these are very sophisticated boys. This was news to me. Rock Music has never seemed that interesting to me. It’s very simple and the beat is the same old thing. But when you see a room with 8,000 young people for five hours going through it to the beat of these boys… The genius of these musicians- these three guitars and two wild drummers in the back… The central guitar, Bob Weir, just controls this crowd and when you see 8,000 kids all going up in the air together… Listen, this is powerful stuff! And what is it? The first thing I thought of was the Dionysian festivals, of course. This energy and these terrific instruments with electric things that zoom in… This is more than music. It turns something on in here (the heart). And what it turns on is life energy. This is Dionysus talking through these kids. Now I’ve seen similar manifestations, but nothing as innocent as what I saw with this bunch. This was sheer innocence. And when the great beam of light would go over the crowd you’d see these marvelous young faces in sheer rapture- for five hours! Packed together like sardines! Eight thousand of them! Then there was an opening in the back with a series of panel windows and you look out and there’s a whole bunch in another hall, dancing crazy. This is a wonderful fervent loss of self in the larger self of a homogeneous community. This is what it is all about! “The next great, proud moment was when Mickey Hart and Bob Weir come along and tell me I’ve helped them. Well, I never — the rock music never appealed to me at all. It was largely monotonous, it seemed to me. Then they invited Jean [his wife] and me to an event in Oakland that just became a dance revelation. I got something there that made me note that this is magic. And it’s magic for the future. . . They hit a level of humanity that makes everybody at one with each other. It doesn’t matter about this race thing, this age thing, I mean, everything else dropped out. The wonderful thing was, compared to the Hitler rallies that you see in the film that were used to a political purpose, here it was just the experience of the identity of everybody with everybody else. The Rutherford Institute :: Victory: Unanimous Supreme Court Rules that Citizens Can Hold Federal Government Liable for Abuse by Law Enforcement Officers Police, Prison Guards. This is compelling information for those with an understanding and interest of and in contemporary Global money and Banking matters. 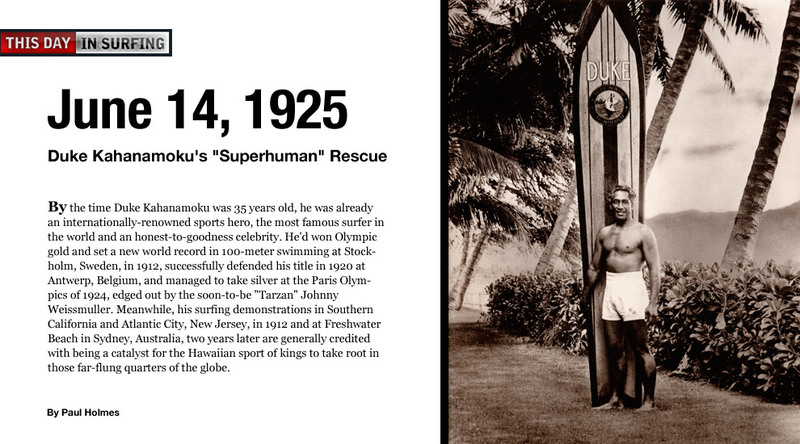 THIS DAY IN SURFING: JUNE 14th, 1925 – Duke Kahanamoku’s “Superhuman” Rescue | SURFLINE.COM. USW – Leo W. Gerard, International President of the United Steelworkers, together with representatives from Mondragon International., the global worker industrial cooperative leader, and the Ohio Employee Ownership Center, have announced that a new “union co-op” model template is available for organizations wanting to combine worker equity with a progressive collective bargaining process. This template was created as follow up to the original USW-Mondragon agreement in October 2009 to collaborate in establishing Mondragon-like industrial manufacturing cooperatives that adopt collective bargaining principles to the Mondragon worker ownership model of “one worker, one vote” within the United States and Canada. “To survive the boom and bust, bubble-driven economic cycles fueled by Wall Street, we must look for new ways to create and sustain good jobs on Main Street,” urged Leo Gerard. “Worker-ownership can provide the opportunity to figure out collective alternatives to layoffs, bankruptcies, and closings in hard times, rather than having the rug pulled right out from under struggling communities to the benefit of a few at the expense of the many”. Building upon this union co-op model, exciting new projects in Pittsburgh and Cincinnati are already well underway. Additional projects based on the union co-op concept have begun or have been proposed in multiple locations from coast-to-coast. Pittsburgh intends to announce its first union-coop project sometime in the late May, early June. The co-op will not discriminate in the admission of new worker-owners, except that the worker-owner must accept the basic principles and be capable of performing the work required. The principle of “one worker, one vote” shall prevail throughout the co-op, including the annual general assembly and the election of the board of directors. Every worker-owner owns an equal share and has an equal vote through “one class” ownership. Labor is the main factor for transforming nature, society and human beings themselves. As a result, Labor is granted full sovereignty in the organization of the co-operative enterprise, the wealth created is distributed in terms of the labor provided and there is a firm commitment to the creation of new jobs. “Ownership” must become more than just the value of a share. Workers must also undertake the responsibilities of ownership in the co-op by their participation in the management of the co-op, ensuring that the co-op remains accountable to its worker-owners. Wage solidarity means there is less disparity among workers and the communities in which they live, reinforcing the equality and quality of ownership. In most cases, the highest paid worker in the Mondragon co-operatives makes no more than 5 to 7 times the lowest paid worker. A key part of the co-op’s mission is to support and invest in their communities by creating jobs, funding development projects, supporting education, and providing opportunity. The co-op supports all efforts to promote workplace democracy and promotes the co-operative model and culture as a means to achieve social and economic justice. Education is valued as “the key to the development and progress of a people” and is critical to “democratize power”, as quoted from Mondragon’s founder, Father José María Arizmendiarrieta. Education and lifelong learning provide the tools for worker-owners to adapt and sustain the cooperative. Creating sustainable jobs and sustainable communities requires broadening the definition of societal value beyond “the bottom line.” Democratic worker ownership principles combined with social and economic justice differentiate the union co-op model from traditional business models, making the union co-op option sustainable and giving it a competitive edge over the long term as worker-owners get to benefit more fully from their hard work and own their own decision-making process and all the fruits of their labors.